Welcome to Advanced Urology Inc.
Advanced Urology Inc. is a urology practice that was formed in 1995 when several area urologist came together to form a Urology Center of Excellence. 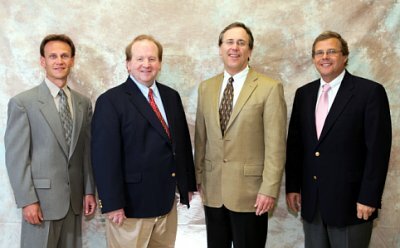 Dr. John McElroy, Dr. Paul Musselman, Dr. Richard Nord and Dr. James Stille are diplomats of the American Board of Urology and are active members of the American Urological Assoc. Advanced Urology is a general Urology practice for adult and adolescent populations, treating problems of the male and female urinary tract and the male reproductive organs. Advanced Urology has three office locations in Boardman, Warren, and Austintown, Ohio. Office hours are by appointment from 8:00 a.m. to 5:00 p.m. Monday through Friday with 24-hour emergency services available.